with Rapid, Standard, Fine and Ultra Fine varieties. 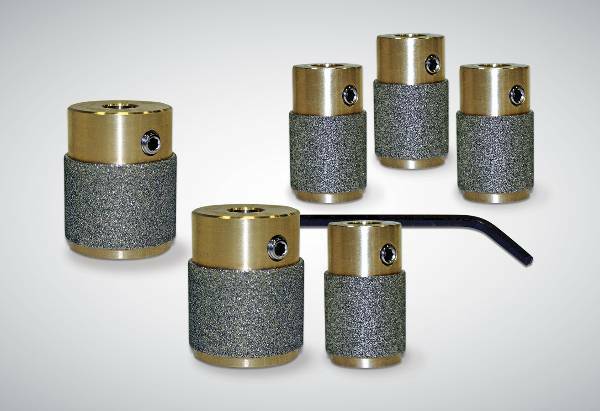 Precision Manufactured Solid Brass Body: Improved stability and resists fatigue cracks caused by grinding vibration. Stainless Steel Set Screw: Like brass, will not corrode over time. Proprietary Diamond Bonding Technique: Bonded layers of ever-lasting diamonds create uniform results. Affordable Quality: The Brilliant Bit is the long lasting, affordable alternative.